The Board of Governors is honored to announce that Christopher M. B. King of London, England, has been awarded the 2019 Alfred F. Lichtenstein Memorial Award for Distinguished Service to Philately. He will receive this honor, one of the highest in philately, at the Collectors Club Awards Dinner on May 8, 2019. 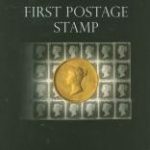 Chris’ contributions towards the preservation of philatelic literature and the heritage of our hobby is remarkable. As Chairman of The British Philatelic Trust, he guided the digitization of the Crawford Library at the British Library. Along with Frank Walton, RDP, Chris was Co-Founder of The Global Philatelic Library, an initiative to provide the consolidated listing of philatelic publications, archives, and museum items held by 27 worldwide philatelic libraries, available as a free-standing search function database. He serves on the RPSL Publications Committee and the Museum Committee of the Museum of Philatelic History. As an exhibitor Chris has garnered FIP Gold and Large Gold medals for a variety of exhibits including the postal history of the Duchy of Schleswig, Denmark in the Napoleonic Wars, Ephemera of Denmark and Germany during wars of 1848-1851 & 1864, The City of Lübeck, Deltiology of Schleswig, and Copenhagen Kiosk Postal Services and Telegrammes 1895-1940. In addition to numerous invited exhibits, Chris has participated in seminars and conferences on philatelic subjects and the history of philately, including the 2016 Stuart Rossiter Lecture, the 2017 Harry Sutherland Philatelic Lecture and the 2018 Stockholmia presentation at the International Philatelic Academy. Chris was elected as a signatory to the Roll of Distinguished Philatelists at Ypres in 2014, and currently serves on the RDP Board of Election, and the RDP trust. In 2018, Chris was granted Honorary Fellowship of the Royal Philatelic Society London. Chris King epitomizes the qualities of a philatelist as a worthy recipient of the 2019 Alfred F. Lichtenstein Award.